Provides private funding access to fuel the advertising side of your P & A budget delivering structured component based funding or access to cover your entire media plan. We will commit our funding early in the process with a letter of commitment. In many cases this will allow you to best negotiate your completion funding, distribution agreements and foreign market pre-sales For projects that meet our investment criteria we traditionally fund 50% - 70% of the A side of the P&A equation. The producer or distributor provides 100% of the P side plus the balance of the A side for each weeks media buy... instead of 100% of the full P&A budget. This provides significant leverage for a producer or distributor. Funding is available from $500,000 up to $20 million or more. As a full service placement agency MEDIA FUNDING PARTNERS offers all major forms of media placements to meet your advertising objectives in addition to the expertise and a complete suite of media planning tools, response analytics and campaign development services to implement a first class advertising campaign. is the venture capital division of a full service direct response agency in operation since 2005. 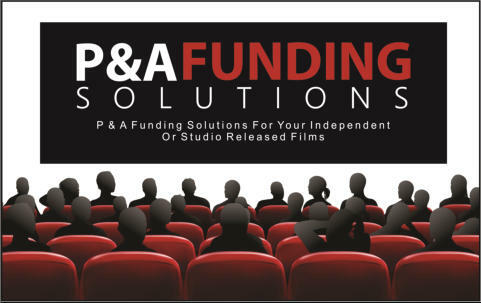 As a full service placement agency MEDIA FUNDING GROUP offers all major forms of media placements to meet your advertising objectives in addition to the expertise and a complete suite of media planning tools, response analytics and campaign development services to implement a first class advertising campaign.